I got a call that there's a discount on one kitchen item that I've been eyeing for like 3 years. After lunch, I quickly hop over to the store, the buy is not only a discount but also a free meat grinder, well, I wanted the pasta maker. The sales girl promised that there will be a free surprise gadget in the pack, and ok, fine, we decided to buy it. Well, the surprise was not there and the sales girl decided to give us a the pasta maker for free!, I was exhilarated. Lugging the big item back home, my son had to help me carry it home. I couldn't wait to try. But it was already evening, too late for a quick bake. I decided to work Daniel Leader's Local Breads, usually turns out really really well. And, my son requested for Rosemary Bread. 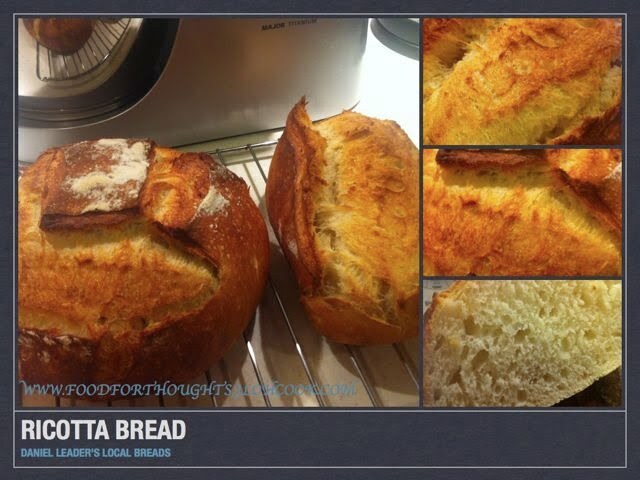 Leader's Local Breads contains a lot of recipes that uses herbs, simply love it, and uses biga that somehow, makes it easy for the bread to work with and it usually turns out excellent. 1. Took the biga out from the fridge, put into the mixer bowl. add in water, and used the stirrer to cut up in chunks. 2. Add in all Ingredients, all dry first then, followed by wet. 3. Mix for 10 mins using no. 3 ( I initially used 4 and the whole machine was jumping like crazy, I was afraid that it'll jump off the counter.) In the meantime, I was able to do some cleaning up. 4. After 10 mins, the gluten was developed very well, I was able to get my window pane dough. And the dough was warm from the mixing. Remove from the bowl. 5. Round the dough and leave in the container for 1st proof. 6. 1 hour 15 mins. the dough doubled. 7. Split dough by half, fold and leave for 15 mins. 8. Shape into loaf and leave in basket to proof for another 1 hour. 9. Meanwhile, heat oven at 210 degree celsius. 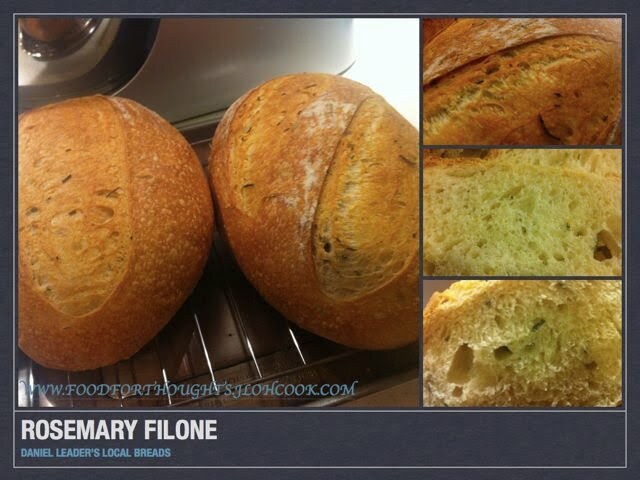 Rosemary Filone: The dough doubled in the oven, and the rosemary smell wafted through the oven as it was baking. This bread is so soft and the crumbs were so well stretched. 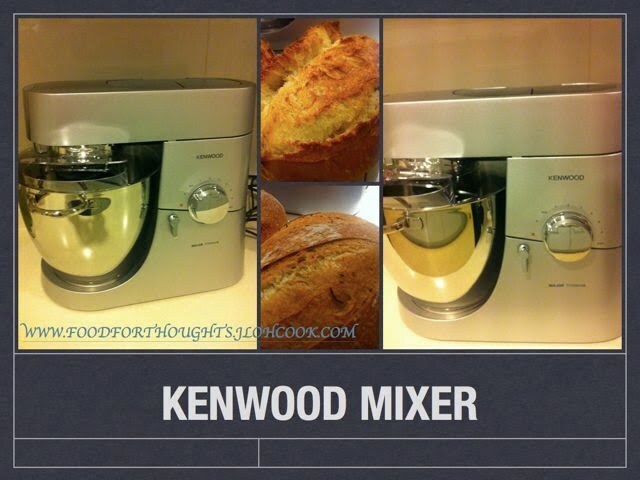 Since I had my machine and flour all out, I decided to make another bread at the same time. I had a box of Ricotta that I bought, but not sure how to use it other and there in front of me, just a few pages down, Ricotta Bread. I just have to try it. 1. Same method, dry ingredients first then followed by cheese and butter, then water and milk. 2. Mix for 10 mins at No. 3. 3. Dough was mixed well. Window Pane achieved again. 4. 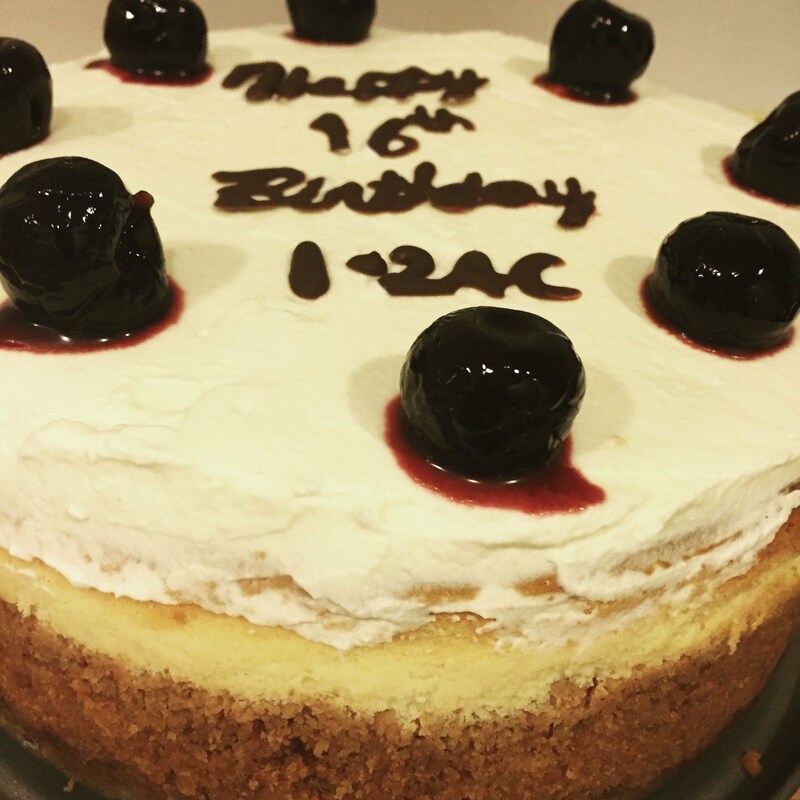 Let proof for 1 hour 30 mins. 5. Cut 2/3 and 1/3. Fold and leave for 15 mins. 6. Round the 2/3 dough and 1/3 into loaf. Leave to proof for 1 hour 30 mins. 7. Score dough, bake bread for 30 mins, with steam. This time, the loaves tripled. The milk and ricotta seems to make the dough much lighter than other breads, and with the steam, the bread just bloomed. This is the first bread that I see spread, bloomed, just indescribable. I am totally happy with this new machine that I bought. Totally satisfied, as I usually don't get consistent mix. And now, with only 10 mins, and the dough is so well mixed, gluten fully developed. Let rise for 2 hours and fridge for 9 hours.